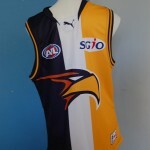 The NAB Cup , the AFL Pre- Season Football Competition , starts on Friday 17 February , 2012. First games see the Tigers , Kangaroos and Hawks, battle it out at Etihad Stadium . More follow up games will be played all around the country in ensuing weeks . 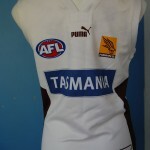 Footy starved fans , will be along to see the games , wearing their football jumpers , jerseys , guernseys. New Sydney based AFL team , Greater Western Sydney , join the AFL , making it an 18 team Competition. for driving without a licence . Other news includes , Eddie McGuire , Collingwood President supporting a night Grand Final , and Jeff Kennett , ex Hawks president, stating the AFL supports gay players . 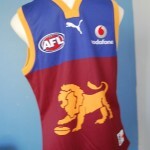 This entry was posted on Wednesday, February 15th, 2012 at 10:58 am	and is filed under AFL, football jumpers, NRL. You can follow any responses to this entry through the RSS 2.0 feed. Both comments and pings are currently closed.